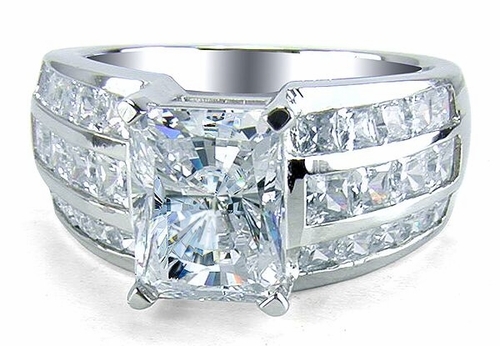 The Dakota 4 Carat Cubic Zirconia Emerald Cut Three Row Princess Cut Channel Ring features a spectacular 4 carat 10x8mm emerald radiant cut center stone that is highlighted by three rows of princess cut squares that are perfectly channel set halfway down both sides of the shank. The shank measures approximately 10mm in width at its widest point and tapers down to approximately 6.5mm at the bottom. 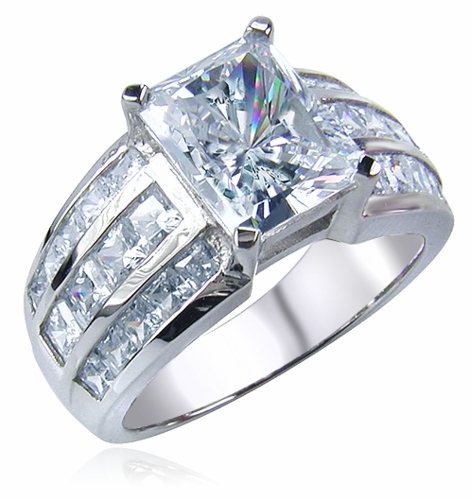 The Dakota includes approximately 7 carats of the finest hand cut and hand polished Russian formula cubic zirconia. 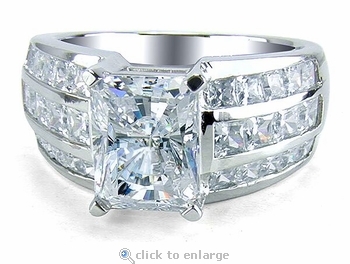 The option of a 104 facet emerald radiant cut center stone, as shown or a 27 facet step cut center stone is available. Choose from a solid 14k white gold, 14k yellow gold, 18k white gold, 18k yellow gold or luxurious platinum mounting. 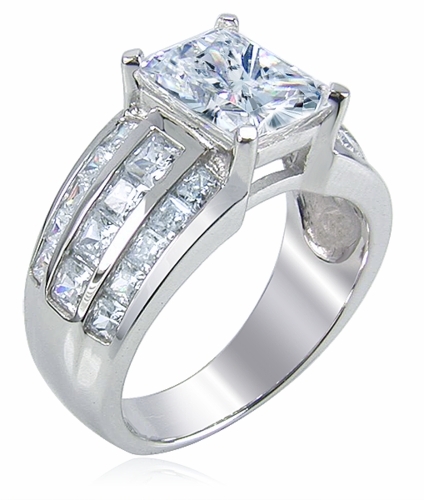 Additional center stone carat sizes can be made via special order. Finger sizes 5 through 8 and metal options are listed in the pull down menu. For further assistance, please call us directly at 866-942-6663 or visit us via live chat and speak with a knowledgeable representative.